MUZAFFARGARH: First round of the second Thal Jeep Rally started at the desert of Layyah and Muzaffargharh on Saturday. Deputy Commissioner Muzaffargarh Muhammad Saif Anwar inaugurated the event by departing the first jeep of the rally. A sizeable crowd was present at the inauguration ceremony of the jeep rally. The jeeps are being tracked by CCTV cameras installed on the tracks while the teams of Rescue 1122 and local police are also present to provide security to those involved in the rally. 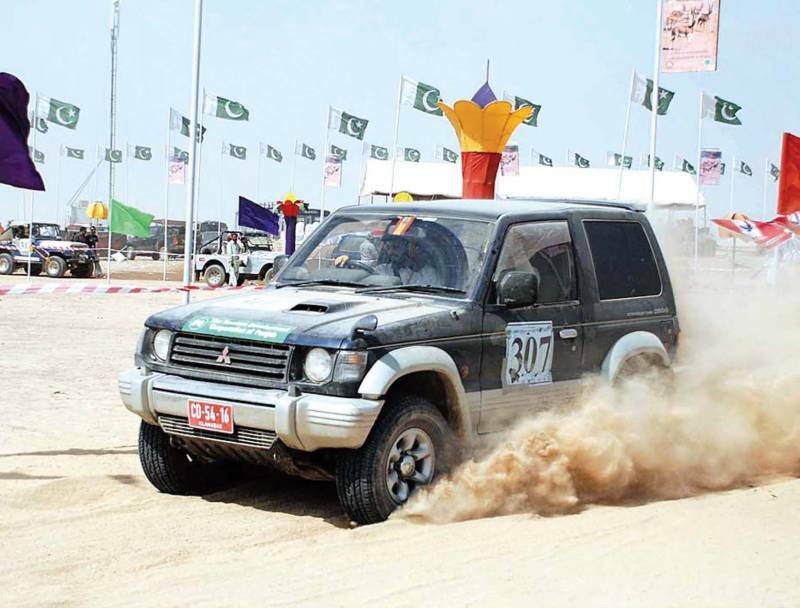 The final round of the rally will begin on November 19, these jeep rallies are a part of the Thal festival that is celebrated every year in the desert of Layyah and Muzaffargarh.